Out of many popular advices experienced stock traders give to rookies, “be proactive” is one of the top ones. While given with all the noble intentions, many people interpret it in a slight different way. Result? They end up making big trading blunders, struggling to make decent return from their investment. We’ve been told that the mantra of success – trading or no – is being proactive, which is taking responsibility of all your actions. For the stock traders, it is approximating risks and future uncertainties and then acting in advance, before the turn of events, to make the most of out of opportunities. This definition might sound quite persuasive; but many people have it the wrong way. 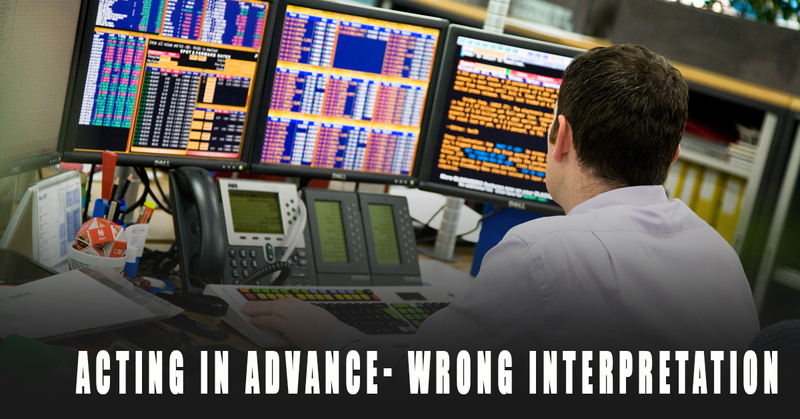 The new traders have misconstrued the meaning of “acting in advance”. The mistake they make is anticipating risks and market fluctuations – that too, with flawed methodology – and then actually acting in advance, in excitement. The biggest problem here is that they are buying and selling stocks out of thin expectations, rather than waiting for the market to make its first move. 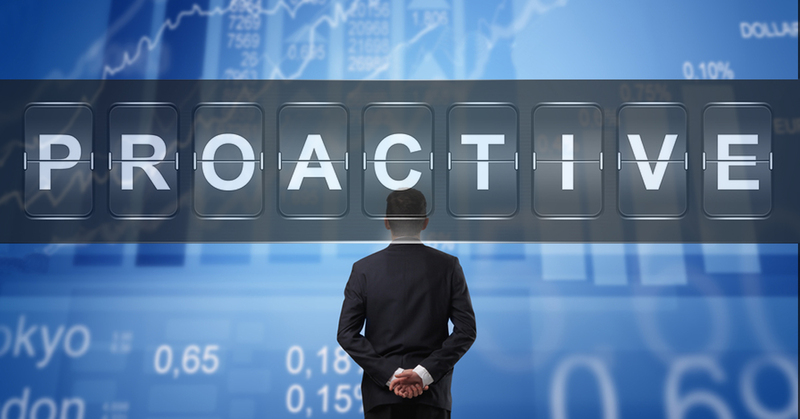 Are you a proactive trader? Proactive traders live in the present, preparing for the future by accepting things as they are instead of relying on – uncalculated – expectations and anticipations. They are in know of all the possibilities well “in advance”, but they refrain themselves from acting prematurely. In its place, they wait for (and analyze) market’s current movements to turn odds in their favors. They follow the movement of the stock market with patience and then act to it with definite plans to maximize their return and minimize risks. Some may argue this is being “reactive” – swaying along the trends of the market. But when you sway with the market’s fluctuations with strategies that are planned well ahead to take care of every possibilities, you’re being sensibly proactive. So if you are one of those who have it all wrong about being a proactive stock trader, now you know! Fix the misinterpretation, change your approach accordingly and let the market guide you to make the most out of your every trade.